Inn Churches has grown from a month-long pilot to a thriving community project with more than 550 volunteers from 70 churches and the wider community in Bradford. We have provided over 5,500 beds for homeless and vulnerable people in the Bradford area since we started. We use available spaces in local churches with volunteers welcoming, feeding, and supporting the homeless during the cold winter months. Inn churches aims to provide a welcoming, warm and supportive atmosphere in which to meet our guests. We offer training to those looking to support their local community. For the rest of the year Inn Churches continue to work with the homeless in partnership with other agencies in the city to provide a permanent and lasting change in the lives of the guests we have hosted. 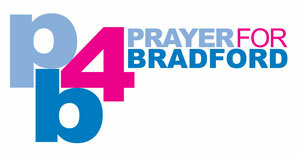 We also work to publicise the plight of Bradford’s homeless forming partnerships with local businesses, churches and charities looking to help the city’s poorest people.